Joeyisalittlekidlawsuit.com will document every court filing and tell the behind-the-scenes story of the corruption and evil. All filings are presented in chronological order. 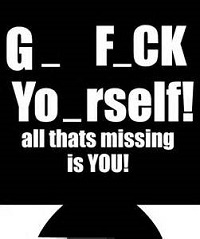 Go F_ck Yo_rself is the favorite saying of many of the Joeyisalittlekid gang members. JoeyisalittlekidLawsuit.com is a website that will publish all of the legal filings in the largest defamation case in U.S. history. In 2012, the notorious Joeyisalittlekid Gang turned their destroy sights on William M. Windsor. What followed is a phenomenal story of evil, sick people and the lengths they will go to in destroying someone. At least some of the Joeyisalittlekid Gang are government-paid cyberstalkers. Their mission was to destroy Bill Windsor and his documentary film, Lawless America, that is set to expose government corruption, judicial corruption, and law enforcement corruption. 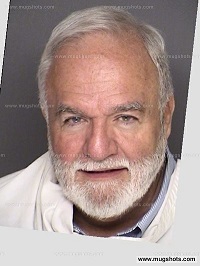 On December 26, 2013, William M. Windsor filed suit against Joeyisalittlekid and its gang members. The judicial corruption began almost immediately and escalated to incredible proportions with Ellis County Texas Judge Bob Carroll leading the way in Ellis County Texas corruption. This site will include all of the legal filings in what began as Case #88611 in the 40th Judicial District Court in Ellis County Texas. Each filing will be entered using the date of the filing so the case can be followed chronologically. A lot of people ask me who the Joeys are. Well, the Joeys is the name I gave to the Joeyisalittlekid Gang. It is a gang of people who originally came together to destroy Joey Dauben, an Ellis County Texas newspaper reporter and ultimately a publisher of sorts. His haters seem to have started with people who didn't like him because he wrote stories about them or friends of theirs. I was told by the patriarch of the Joeyisalittlekid Gang, Clyde Hargrove of Red Oak Texas, that Casey P. Hargrove posted some comments about Joey Dauben because he had verbally attacked a friend of theirs. Well, that isn't true. The story goes way back before that, to 2004, when kid Joey Dauben was a reporter for the Ellis County newspaper. Joey Dauben got the assignment to report on the Crime of Casey P. Hargrove of Red Oak Texas. Casey P. Hargrove set out to destroy Joey Dauben, and he assembled his gang of cutthroats, now known as the Joeyisalittlekid Gang.